iFly Repair LLC in Maple Grove, MN specializes in on-site iPhone, iPad and iPod repair. The best part about hiring iFly Repair LLC in Maple Grove, MN for your iPhone repair needs is that we send our trained techs to you! We serve the Maple Grove area and surrounding suburbs, specializing in on-site iPhone repair. At your home, work or a coffee shop near you, we meet you so your schedule isn't interrupted. 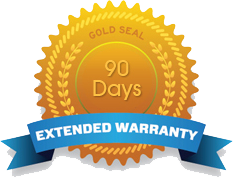 We use only the highest quality parts and all repairs come with a 90 day warranty. All repairs are done right in front of you, usually in less than 45 minutes. If you do not see your repair listed, please contact me for availability and pricing. Warranty repairs must be done at Caribou Coffee in Osseo. If device has visible water damage, or screen has been re-cracked, warranty will be void. Tax is not included in the price, and is only applicable on parts, not labor. Credit cards are subject to a $3 additional charge. Feel free to call today to learn more about the services I offer.